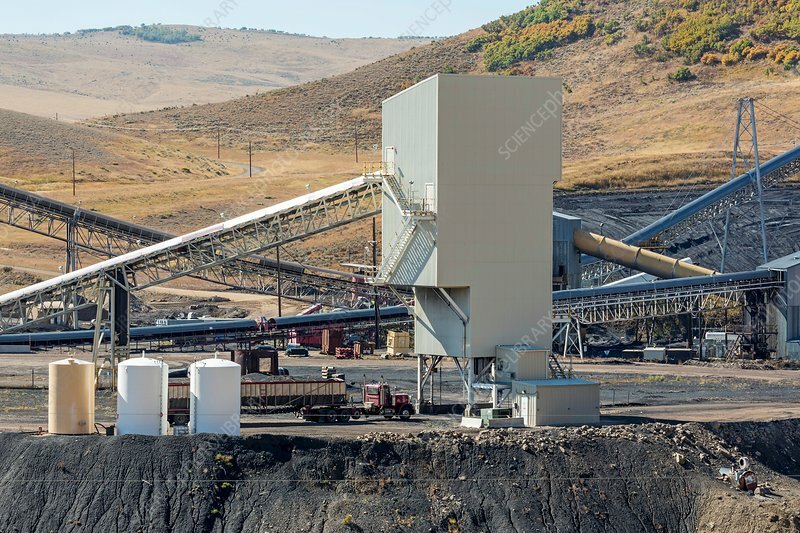 Coal-loading facility at a coal mine. This is the Twentymile Mine operated by Peabody Energy in Oak Creek, Colorado, USA. Peabody filed for bankruptcy protection in April 2016. Photographed in September 2016.